Cool. A refreshing design whose form exemplifies what custom knife maker Warren Osborne believes important function and quality. The Model 940 incorporates the exclusive AXIS™ locking mechanism for a functional smoothness that compliments well the purity of the design style. 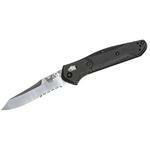 A modified reverse tanto blade shape machined of S30V stainless steel, features dual thumb-stud openers for safe and easy ambidextrous access. The handle design is slender with a slight curvature and recessed contours for grip stability. 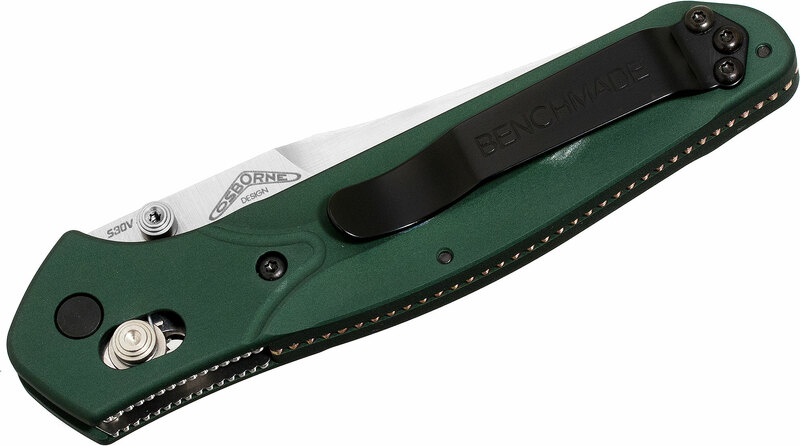 Machined of aluminum and deep color anodized, the handle scales are a rich green color sparked by a color anodized titanium back spacer. 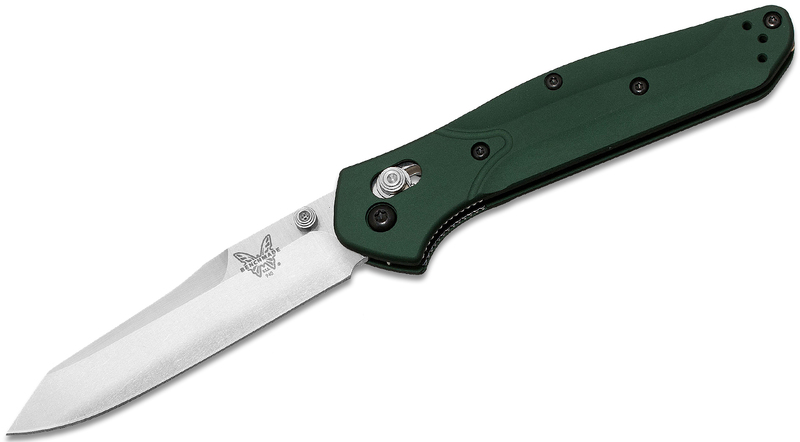 The liners provide solid function for the AXIS™ lock and feature subtle finger treads for added blade control. 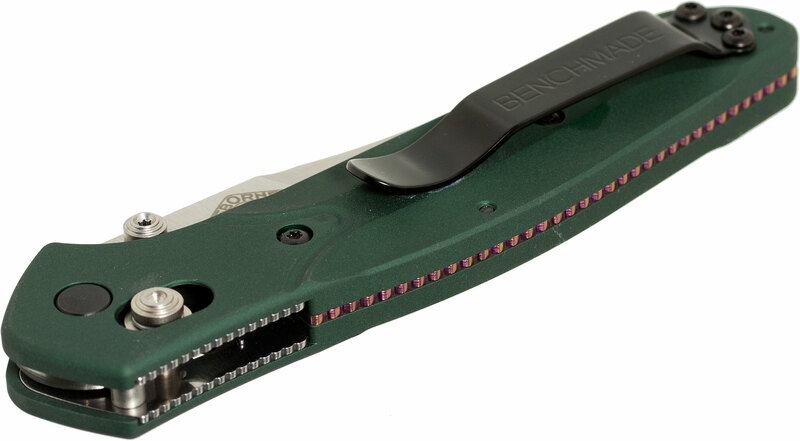 A stainless steel carry-clip is movable to either handle side, making the Model 940 a 100-percent totally ambidextrous cutting tool. Contemporary design, innovative function and a higher standard of manufactured quality give the new Model 940 everything needed for superior form and function. Okay, a well made knife with SV30 steel. I think SV30 is the ideal compromise between edge holding and sharpenbility. So, why not 5 stars? First of all, the G10 grips are slicker than I would like them to be. And then there's the blade... Too weird. I would rather have a straight ahead drop-point. The tip is way too thick for piercing and the whole bade is too thick for slicing. 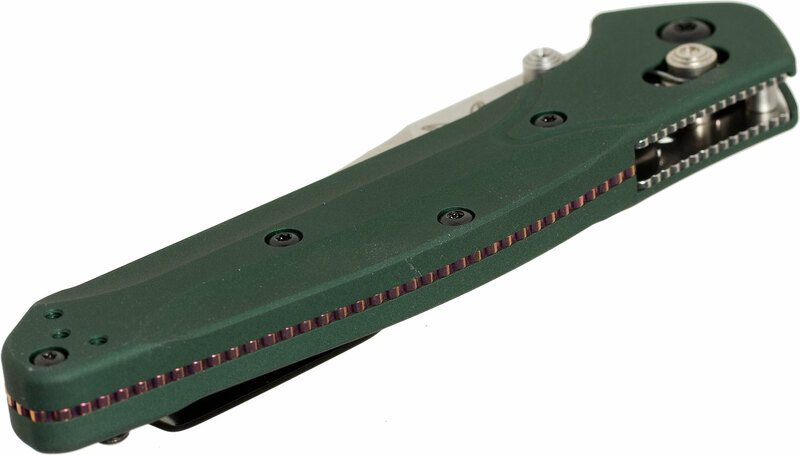 It's too light for a tactical/woodcraft knife, & just not suited to the general use knife role. Just bought 2 knives. A Boker mini Kwaiken which is terrible and is getting returned, and a Spyderco Paramilitary 2,which now has o more or less permanent place in my pocket. Goldilocks. Not too big nor too small. Works during the week as a smaller type EDC and on the weekend big enough for chores. Just an all around winner. Buy it.Do wish it was a flipper. 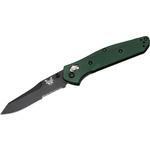 Hey, I wanted to share "Benchmade 940 Osborne Folding Knife 3.4 inch S30V Satin Plain Blade, Green Aluminum Handles" with you from KnifeCenter.